Loyalty Oaths have been around since the War of Northern Aggression, but were most active recently during the aftermath of the Great Patriotic War. And now the new challenge to loyalty comes with a Trumpian proposal to test immigrants, calling it “extreme vetting”. But could approved loyal Americans pass such an exam? There already are in tehDonald’s mind, “secret Muslims” in the government since 2008, especially in the Oval Office, at least until January 2017. Could Larry Craig pass the exam, or even Franklin Graham. And if you score less than 70%, do you get to take it again or are you restricted in terms of travel or residency to Blue states. In 2012 only 65% of native-born Americans could pass a sample civics test given to immigrants, but don’t feel too bad, only 21% of Americans know that Woodrow Wilson was POTUS during The Great War. According to The Associated Press, the Republican presidential nominee plans to present a proposal during an address in Youngstown, Ohio, to create an ideological admissions test that would question potential immigrants on positions such as religious freedom, gender equality and gay rights. The test, in addition to combing social media and interviewing friends and families, would be used to determine whether potential immigrants support American values. So if we swear on Bibles, make pledges before flags, sign loyalty oaths to get jobs, double-secret probation is over except where we look like the wrong ethnicity/race — whatever that means in the USA, since in 1962 drunk libertines might be refused admission and until 1990, your politics could affect your ability to visit the US. During the American Civil War, political prisoners and prisoners of war were often released upon taking an “oath of allegiance”. 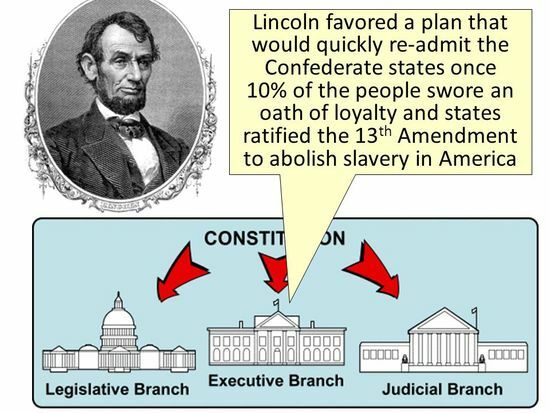 Lincoln’s Ten percent plan featured an oath to “faithfully support, protect and defend the Constitution of the United States, and the union of the States thereunder” as a condition for a Presidential pardon. During Reconstruction, retroactive loyalty oaths were proposed by Radical Republicans, which would have barred former Confederates and Confederate sympathizers from federal, state, or local offices. Provisions that excluded certain classes of immigrants based on their political beliefs were revoked by the Immigration Act of 1990. in 1962: Before applying, an alien must be at least 18 years old and must have been lawfully admitted to live permanently in the United States. He must have lived in the United States for five years and for the last six months in the state where he seeks to be naturalized. In some cases, he need only have lived three years in the United States. He must be of good moral character and “attached to the principles of the Constitution”. 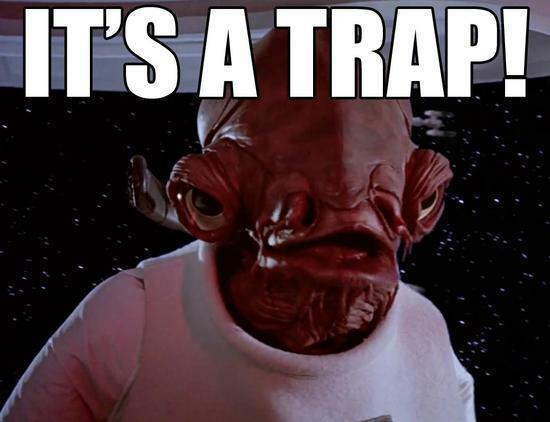 The law states that an alien is not of good moral character if he is a drunkard, has committed adultery, has more than one wife, makes his living by gambling, has lied to the Immigration and Naturalization Service, has been in jail more than 180 days for any reason during his five years in the United States, or is a convicted murderer. 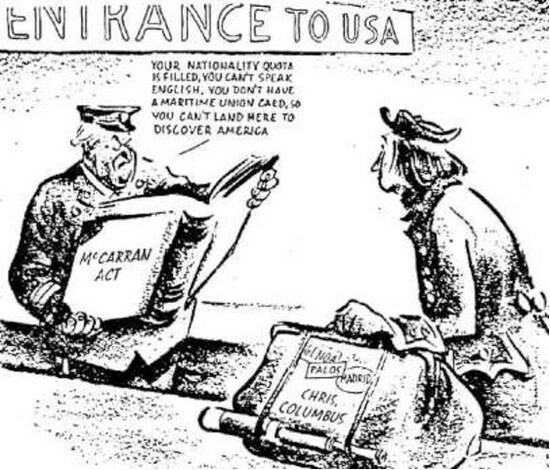 In 1952, the “McCarran Walter Act was the first immigration bill since the late 1790s to establishan ideological litmus test for admission to the United States,” Robert David Johnson wrote in his book Congress and the Cold War. 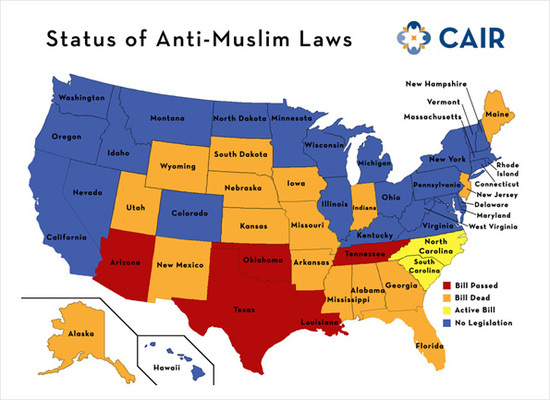 Similar to Trump’s softened Muslim ban, the bill was motivated by religious intolerance—antisemitism—and governed immigration policy for over a decade. And does Second Commandment trump Second Amendment, people, people? The US has apologized for the arrest of businessman, Ahmed al-Menhali, who was mistaken for a terrorist because he was wearing traditional Arab robes while in Ohio. “I mean, we’re having such a great time,” Trump told NBC’s “Today” in a pre-primary telephone interview. In mapping the inclusiveness of national diversity, we are increasingly reminded of the ethnic classification of the nation’s population by the carving out of predictions of the behavior of the electorate at the polls–partly because the distribution is so relatively easy to map, partly because how such divisions map onto political parties is a growing riddle, not only since it is less clear that their increasing political voice maps onto a single agenda, but also because of the scare of predictions of white-minority status by 2045. 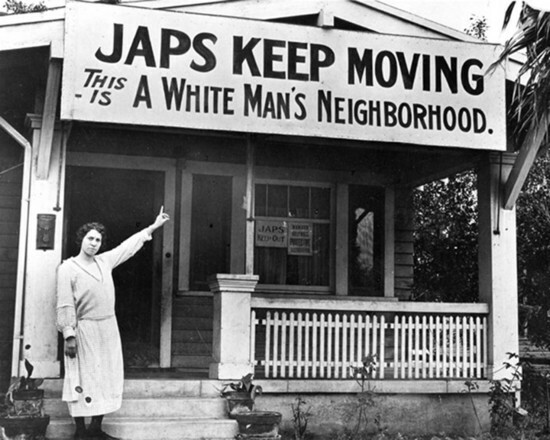 For the apparent cultural remove of the arrogance of an administration that formally instituted the forced geographic relocation of Japanese Americans to camps away from the west coast seems an odd artifact stoked by the proto-fascist flames ignited by the fear of war. 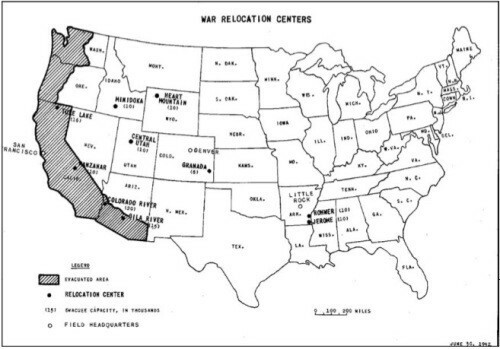 In the four years before Harry S. Truman, we didn’t have any successful Japanese attacks inside the US. Like an archaeological excavation, the chart sorts Americans by religious affiliation and race, stratified by age. It shows the decline of white Christians among each successive generation. 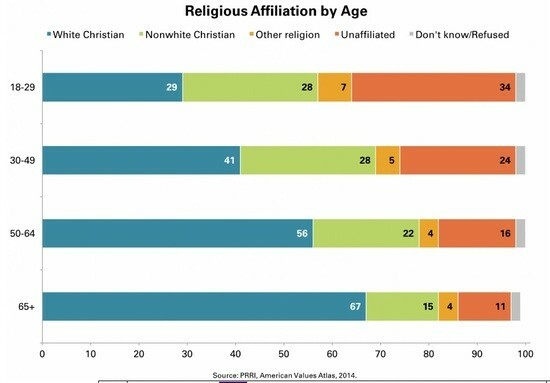 Although the declining proportion of white Christians is due in part to large-scale demographic shifts — including immigration patterns and differential birth rates — this chart also highlights the other major cause: young adults’ rejection of organized religion. Young adults are three times as likely as seniors to claim no religious affiliation (34 percent versus 11 percent, respectively). What’s the broader implication of this generational pattern? The American religious landscape is being remade, most notably by the decline of the white Protestant majority and the rise of the religiously unaffiliated. These religious transformations have been swift and dramatic, occurring largely within the last four decades. Many white Americans have sensed these changes, and there has been some media coverage of the demographic piece of the puzzle. 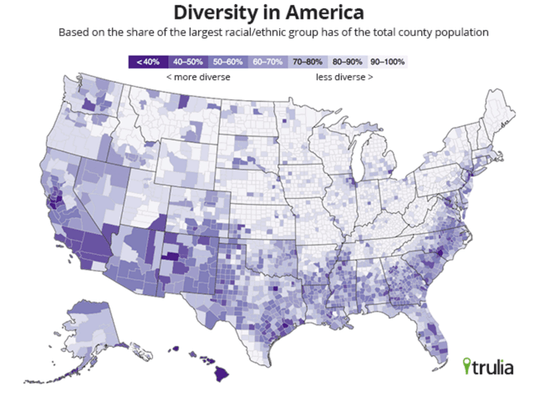 But while the country’s shifting racial dynamics are certainly a source of apprehension for many white Americans, it is the disappearance of White Christian America that is driving their strong, sometimes apocalyptic reactions. Falling numbers and the marginalization of a once-dominant racial and religious identity — one that has been central not just to white Christians themselves but to the national mythos — threatens white Christians’ understanding of America itself. Even during the Cold War there was an existential decline of White Christian America as it grasped at holding its place by ideology and demographics — Trump is tapping a dry hole of those frightened, LIV folks who cling to an Exceptionalism that is no less hegemonic now than during the Cold War. This entry was posted in 2016 Election, American History, Civil Liberties, Civil War, Government, History, Immigrants, Immigration, Media, Political Science, Racism, Society, Uncategorized, World History and tagged 2016 Presidential Candidates, Donald Trump, Racism, Republicans, Terrorism. Bookmark the permalink.